When your shredder takes to the slopes, she doesn't have time to stop to deal with inadequate gear. The Reima Girls' Terrie Pants are designed to keep her moving. Constructed to repel water and resist wind, these pants will defend her against the elements while maintaining her stylish aesthetic with a slim fit. 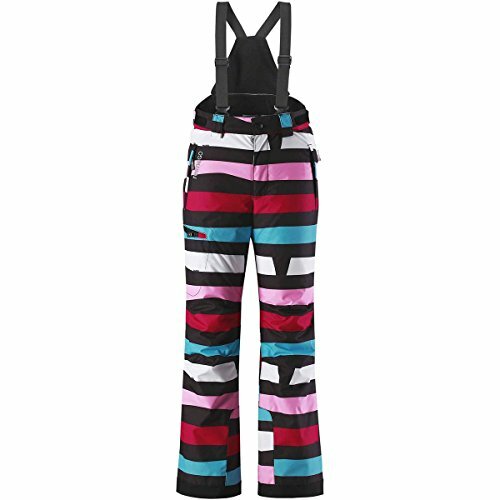 The lightweight synthetic insulation traps in heat so she doesn't get chilled on the lift, and the gaiters and adjustable waistband seal snow out, even if she takes a tumble. If you have any questions about this product by Reima, contact us by completing and submitting the form below. If you are looking for a specif part number, please include it with your message.